Let me give you a quick glance at the gameplay before we get on with the review, imagine that you are low on ammunition and your health indicator is dangerously red. There are more number of enemies than you expected and they have forced you to track your way in to a corner. What would you do, would you go all out with guns blazing, hoping that somehow you will hit all enemies with perfect lethal shots and emerge victorious? No, instead you and your partner improvise. Yes, you are not alone and that’s one of the strengths of this game. You and your partner work in collaboration and use your kinesis abilities to impale the enemies with their own limbs. You romp their corpses and then salvage to reload for the next battle. Its moments like these that help the dead space 3 emerge as the clear winner amongst the most exciting games for PC in the year 2014. The graphics and audio tracks of this game are just one of the best that I have ever seen in my reviewing career till date. The game’s visuals are designed to give the player that creeping feeling of a vintage horror movie and all of the audio tracks are composed in accordance with the game setting. You will never feel that a particular audio track is not fitting well in to the overall gameplay. A word of caution, this game is best played on a PC, you can also play it on an Xbox but it doesn’t offer much on a play station. 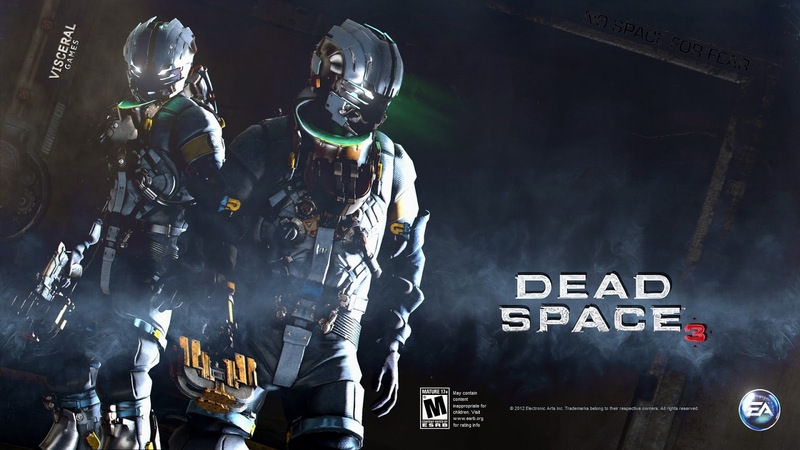 This is the first installment in the dead space series that has included the feature of co-op. You can play along with your friend; the best thing about co-op is that it doesn’t give you the feeling of isolation. Throughout the game you never feel alone and you move ahead with confidence and support as you always know that help is not too far away. In the end dead space 3 is all about combat. Bloody combats with dismembered bodies are a common sight throughout the game. Like its predecessors, this game too focuses on gore. There are some new additions in this game, for example the gravity manipulating kinesis give you something different from a typical bang bang action scenario. I used kinesis for dismembering the enemy appendages and believe me it’s fun and it’s just as effective as the head shot. If you are one of those players who enjoy a game better when it presents a compelling storyline, then this game is not for you. Deadspace 3 focuses more and more on combat rather than on the storyline. I personally feel that the entire storyline is poorly written. In fact the entire progression of the game is sluggish; the whole campaign feels like it has been borrowed from its predecessors. But we never played this game for its storyline in the first place; it’s a game for those who love great graphics and punishing battles. Inclusion of new weapons and abilities. Co-op mode and single player mode. Play it for one and one reason alone, blood and gore. If you are looking for a cinematic experience with elegant story telling then stay away. This review was authored by Sam Kingsley. Sam owns a video game library in Ohio. He also works as a part time game tester and provides product reviews on the beta versions of upcoming games.